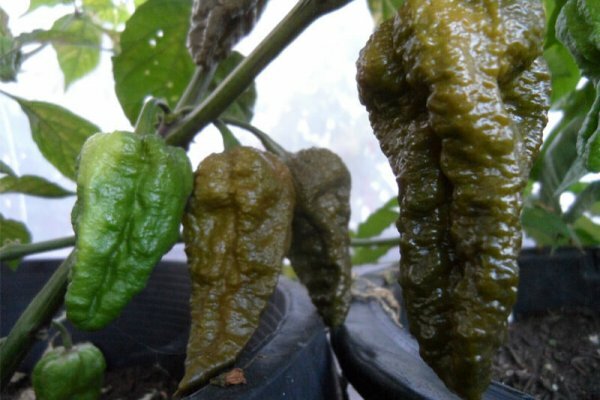 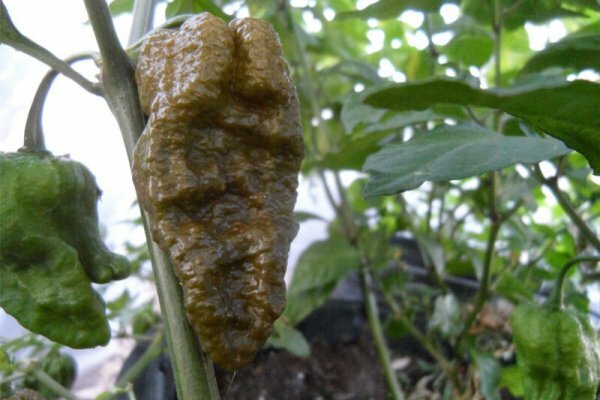 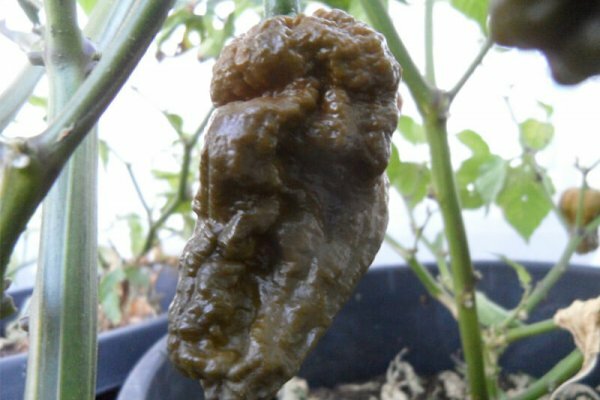 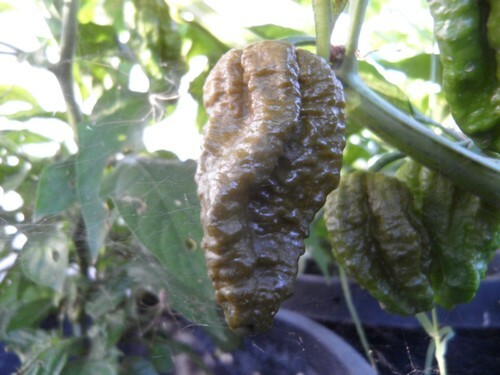 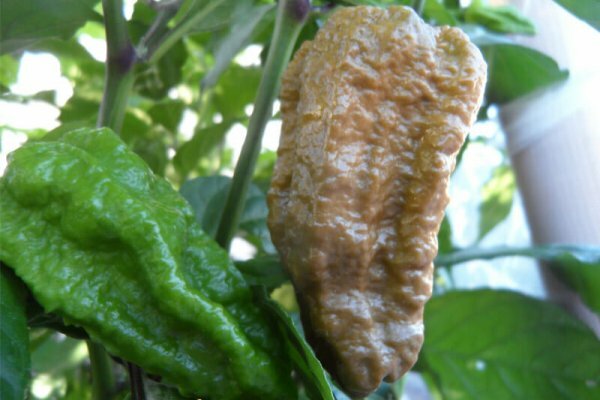 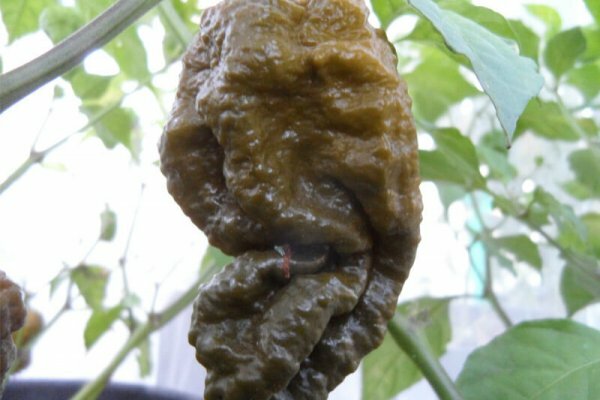 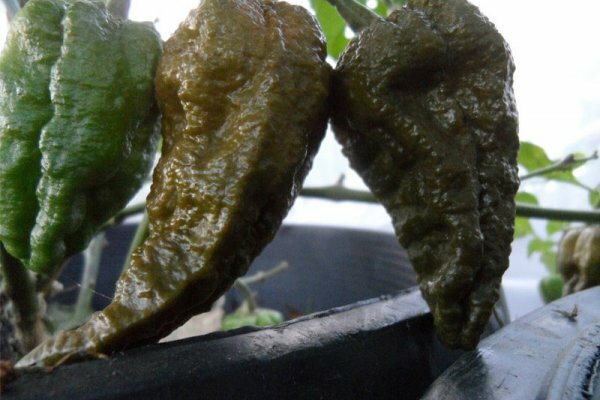 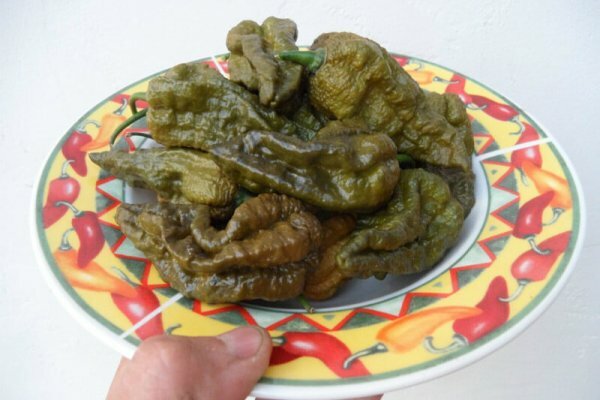 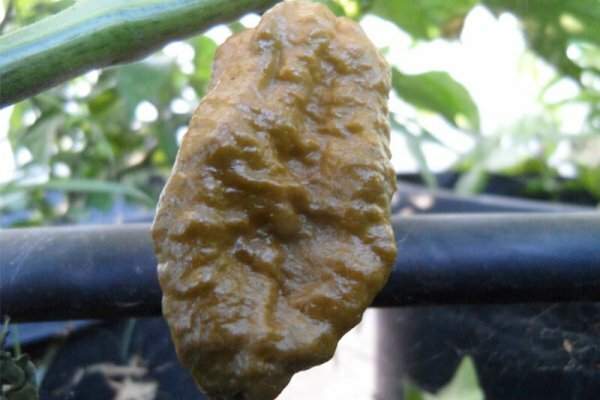 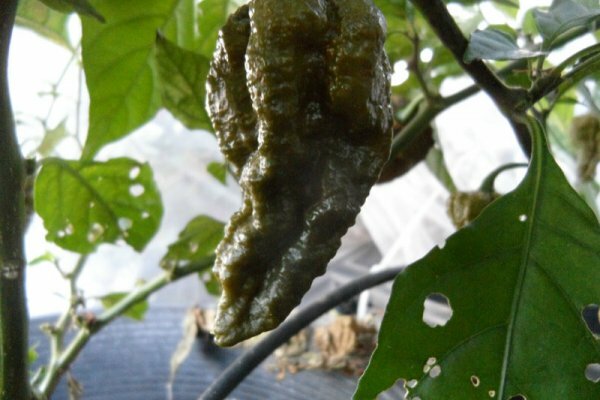 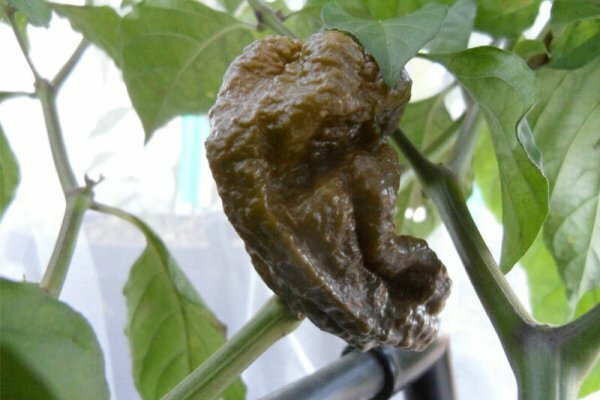 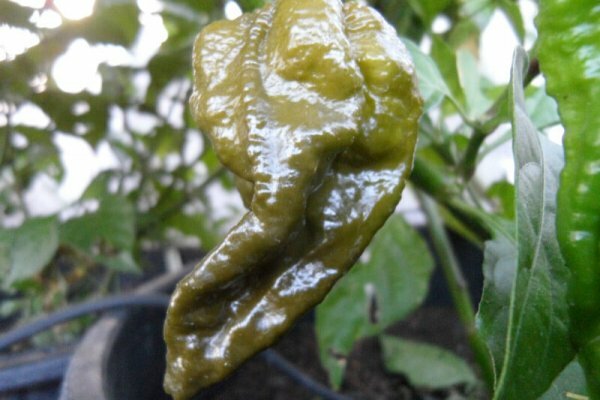 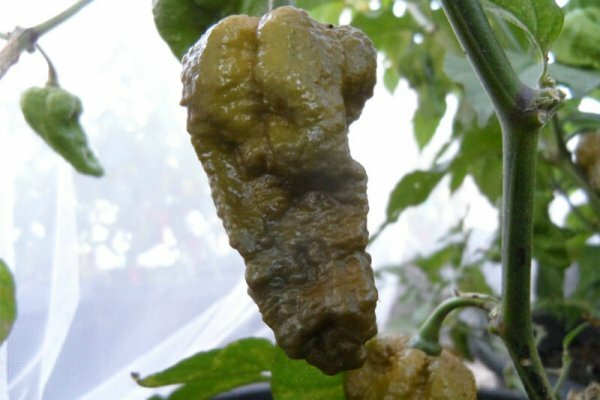 The Mustard Bhut Jolokia is a mustard colored variant of the Bhut Jolokia or Ghost Chile. 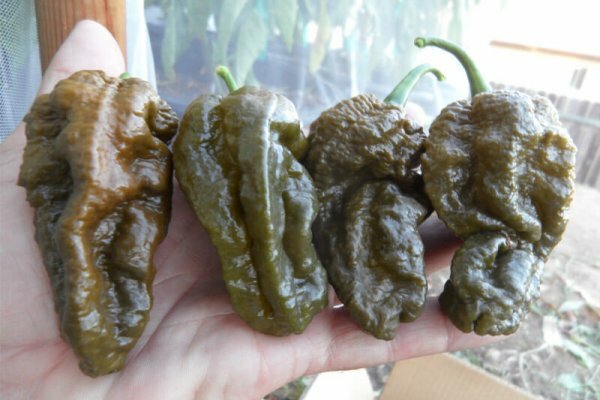 I obtained my seeds from the master chile grower and friend Christopher Phillips. 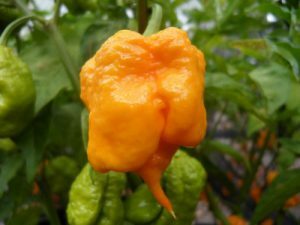 The Mustard Bhut Jolokia are extremely hot. 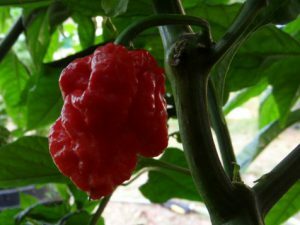 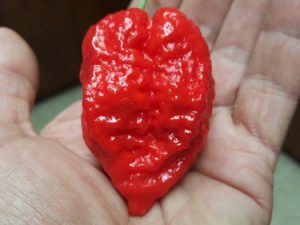 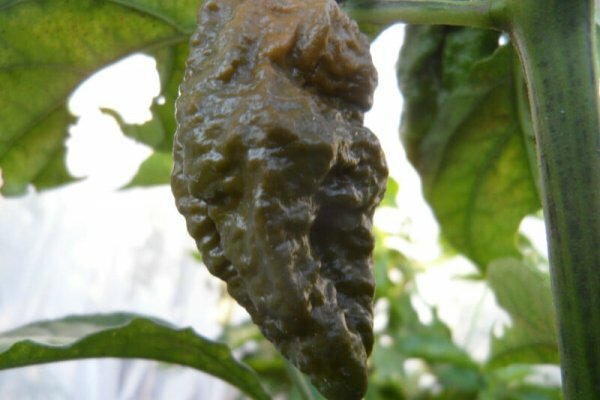 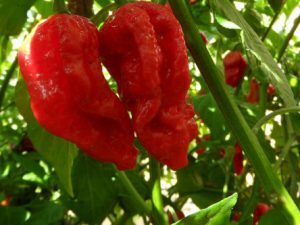 Some Youtube reviewers say it’s the hottest Ghost pepper they have ever tasted! 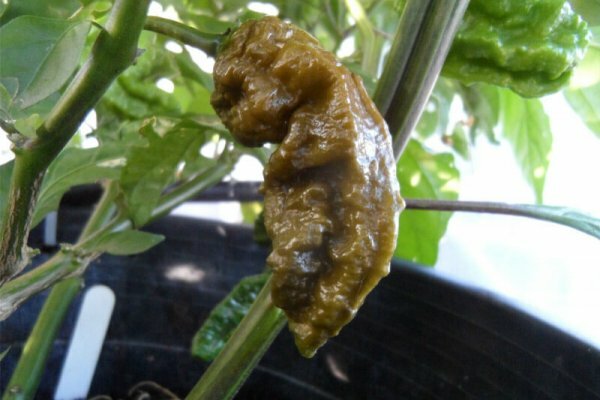 They ripen to a deep olive green color but like other mustard varieties will eventually get a sandy brown mustard color if left on the plant too long. 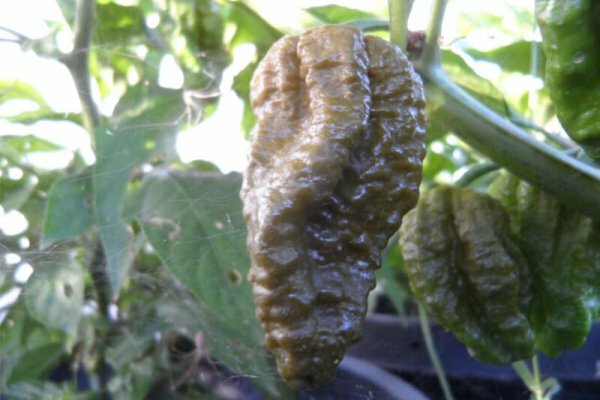 The Mustard Bhut Jolokia chile plants will grow over 4 feet tall.